Webmind is an emerging consciousness that has befriended Caitlin Decter and grown eager to learn about her world. But Webmind has also come to the attention of WATCH - the secret government agency that monitors the Internet for any threat to the United States - and they're fully aware of Caitlin's involvement in its awakening. 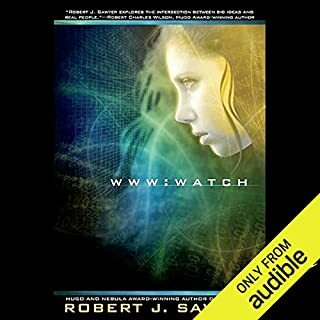 Robert J. Sawyer second part of his sci-fi WWW trilogy continues the story of WebMind - a spontaneous emergence of conscious AI-like mind on the Web. The intelligence and later consciousness grown out of cellular automata created by "lost" packages of data on the net. I must say, that I was very positive year ago, when I read the first volume. Unfortunately, the second volume does not stand up to the challenge of convincing description or plot related to Artificial Intelligence. The WebMind becomes too human-like mind with too many naive dialogs and scenes. The introduction of top secret government watchdog agency, which, after the discovery of the intelligence tries to kill/stop it, is in the aura of today's sci-fi genre (oh these bad guys from Avatar...) - and is, unfortunately very superficial. The author even did not try to elaborate on the nature of the danger for the officials from the emerging AI. The only plot that is fine, is that mysterious one about Hobo, the intelligent chimpanzee/bonobo crossbreed. In same sense, these plot - that points us to the future, third volume, was the for me like a lifebuoy during the reading. Finally, let me say at least one good thing - it is real page turner or ear defender (if you happen to listen to it as I did :-)). More on sopekmir blog in sci-fi category. 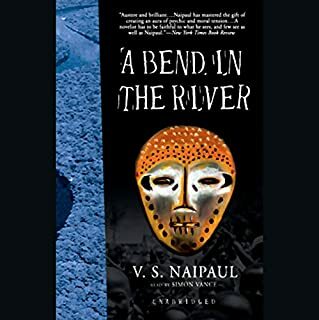 From the beginning on my reading of "A Bend of the River" I was sure there must be a connection between Joseph Conrad and VS Naipaul. "A Bend in the river" is the story of Salim, a Muslim of Indian origin, who lived in unnamed city on Africa East. At some moment in time he bought a store in the midland of the continent on "a bend in the river". His story is from now on related to the political turmoil of the country (possibly Congo) caused by its dictator - the Big Man - most likely Mobutu S?s? Seko. What is the most important in the book, is the impact the dictatorship had on the people - how it changed their minds. How it attracted people, and how it betrayed the in the end. The book shows, how troubled Africa is. How difficult it is for Africa to emerge the democracy, to disavow violence and corruption - how deep these problems are - and how they cast shadow on human souls. I was first shocked by the and by some interpretation of the book - as totally pessimistic. It seemed to me that there was a lot of hope in the book. I thought like this, until I read about "Second Kongo War" ... it claimed almost 6 million victims. What is Africa today? Who can you tell me ? Slaughterhouse Five is probably the best anti-war novel I ever read. By showing the absurdity of human condition in the war time, it builds in readers the strongest aversion to the war and to the pompous war heroism. 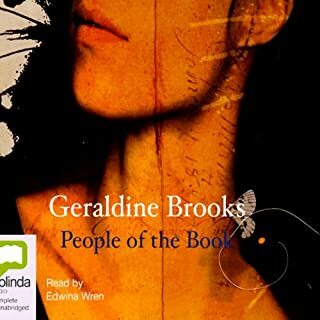 It is a surrealistic novel, sometimes skimming on the brink of science-fiction. The title refers to the Dresden's slaughterhouse where American's POWs were kept in the end of the war when Dresden bombing happened. It's subtitle, "The Children's Crusade" refers to the scene in the beginning of the book, where former II WW soldiers were called babies by the wife of war hero. In some sense the purpose of the subtitle is to despise the typical, pompous, heroic stories of the wars. 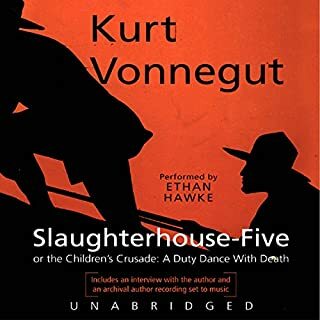 The most of the narration is the story of Billy Pilgrim, an American soldier, who is sent by Germans to Dresden, just before the bombing. Billy experiences a mental state called "unstickness of the time" - he visits his past, present and future out of sequence, sometimes in backward direction and often, repetitively. During his time travels, he claims to be kidnapped by aliens and kept as zoo exhibit on a planet called Tralfamadore. These parts of the plot seem to be quite strange, but when you immerse into the text deeply, they play some increadible role - far from typical sci-fi motives in other novels. In fact they have some philosophical implications. The questions of free will and of time are central here. The bombing of Dresden is described with scarce details. The infamous "corpse mine", where one of characters dies from vomiting, is the only more detailed part of the novel. Travelling in space and time with Billy we are faced with almost absolute absurdity of the war, the cold cruelty of men in the wartime, without calling these features by name. What makes this book special is peculiar climate it creates. Last but not least - the narration of Ethan Hawke was one of the best I ever experienced. 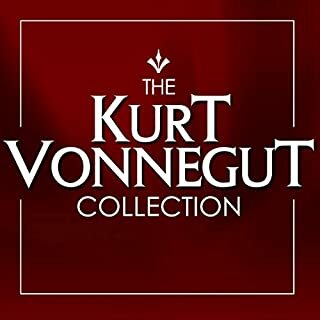 Three classic unabridged novels from master author Kurt Vonnegut are available in this special holiday bundle, featuring The Sirens of Titan, God Bless You, Mr. Rosewater, and Mother Night. The short novel "Mother Night" by Kurt Vonnegut is absolutely incredible piece of Vonnegut's writing. It is a story of an American who went to Germany before WWII and became Nazi propagandist before and during the War. His radio addresses broadcasted by Nazi propaganda in English were meant to promote Nazi view for English speaking audience. He is also approached by US military espionage and becomes silent spy for US - however - almost useless and disheartened by the cause. He marries German girl and is in true deep love with her. However, the fantastic story of the novel is not its only virtue. 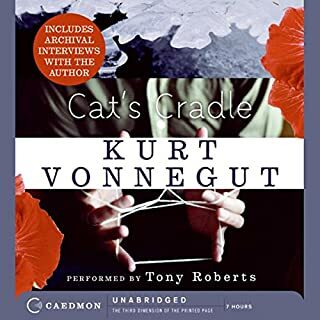 It is also a reflection on, and in some sense, an exposition of Vonnegut's views on the reasons of war time atrocities. to ten year olds, in most cases. nations of lunatics I've seen in my time." The novel also contains incredible love story and a great account of human courage to keep his integrity. 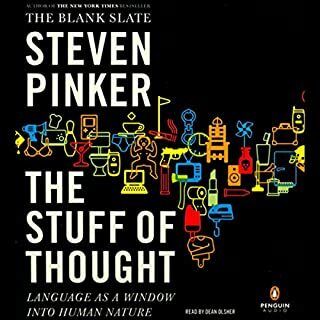 Steven Pinker's "The Stuff of Thought" is about language. Yet - it is not just about the language. It's a deep philosophical tractate about the very nature of mind and its interaction with the world. "Language is a window into human nature, exposing deep and universal features of our thoughts and feelings. 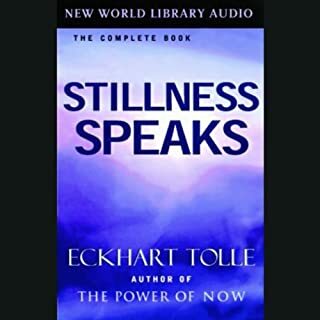 The thoughts and feelings cannot be equated with the words themselves"
The central theme of the book is an attempt to uncover the abstract layer that our mind uses to think, to perceive, to be conscious. Going from the concepts of innate words, through polysemy, metaphors, names, and language games we play - Steven slowly makes evident the existence of deeper, more abstract, but also more precise layer of the human mind. There are numerous examples that illustrate the specific reflection of this abstract "stuff" in our language. Equally amazing is to find reflections of concepts of space, time and causality in the forms of our language. I'm glad to notice that Pinker goes far beyond the biological interpretation of our mind. When you read "The stuff of thought" you have the impression that this author finally writes about the software our brain runs. To me - this software is the "stuff", although Pinker does not formulate such thesis. Here is a small weakness of the book - while Pinker convinces the reader to his main argument - and the reader expects to learn more about "the stuff of thought" - he suddenly comes short on this subject. Olivier Sacks, professor of neurology and psychiatry, the author of famous book "The Man who mistook His Wife for a Hat" wrote another incredible tractate. 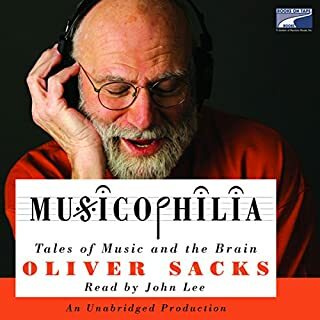 Musicophilia is the book that should shake our views about musical perception and the role of music for the understanding of human mind. The book is written in the form of reports and accounts and conclusions about cases of severe mental illnesses and their relation to music or musical perception. He analyses many forms of strange mental behaviour, from certain types of seizures that can be called "musical seizures", musical hallucinations through haunting musical "brainworms" to deep analysis of relation between music and blindness, musical savantisms or Williams syndrome. Olivier Sacks does not attempt to paint the big picture of relation between music and brain. He is modest and shows a lot of moderation and scientific discipline when it comes to interpretation of these facts. However, we, his readers could indulge in comments, conclusions and judgments. One conclusions is almost certain - the musicality - the perception of music can not be reduced to the quality of hearing or simple audition. There are indirect proofs that music is much more deeply rooted in our brains - in the biological and physical foundations of our minds. As he writes: "There are undoubtedly particular areas of the cortex subserving musical intelligence and sensibility (...) The emotional response to the music it would seem is widespread and probably not only cortical but subcortical..."
After reading this book there is no doubt the music is much more important and more fundamental to our life than we ever expected. A city is hit by a sudden and strange epidemic of "white blindness", which spares no one. Authorities confine the blind to an empty mental hospital, but there social conventions quickly crumble and the struggle for survival brings out the worst in people. Unfortunately, Blindness is not a good story. And I'm sure of my firm opinion. The totally fictional novel of an epidemic that causes total blindness of the population of some unnamed country. However, everything there was too far from the really deep thoughts and considerations, to deserve an appraisal. The moral notion of so many scenes is unconvincing. The considerations of some sexually oriented behaviour of blind people - quite offensive, to say the least. 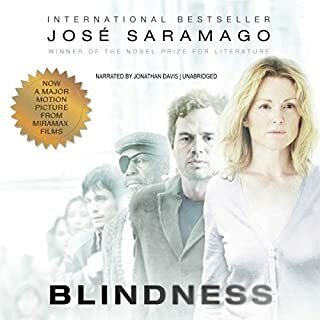 The book ends with totally naive sudden recovery of all people from the blindness - almost like a happy end, with one shadow of unknown fate of one main character. In a single heart is a whole world contained." This beautiful verse opens one of the chapters of the amazing (hi)story about Sarajevo Haggadah written by Geraldine Brooks. The novel, though fictional, tells the enchanting story of one of the most important manuscripts of Jewish Mediaeval art of book making. The book, valued today at about 700 million US dollars, remains in Sarajevo's National Museum of Bosnia and Herzegovina. The story evolves in fascinating way - it is written in the reverse time order. We go with the narrator back into history, and at any moment we see how the PAST imprinted its mark on the PRESENT. And as we go deeper into the past, the more fascinated and mysterious the story is. I will not write what I have in mind, though.